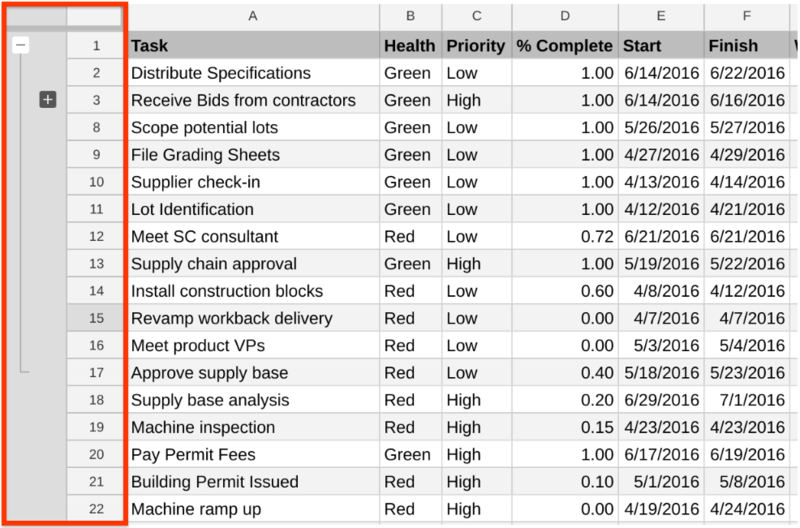 , we provided an overview of some of the ways we’re making Google Sheets better for business. This included several new feature announcements. This post will provide some more specific feature and rollout information that may be useful to G Suite admins. 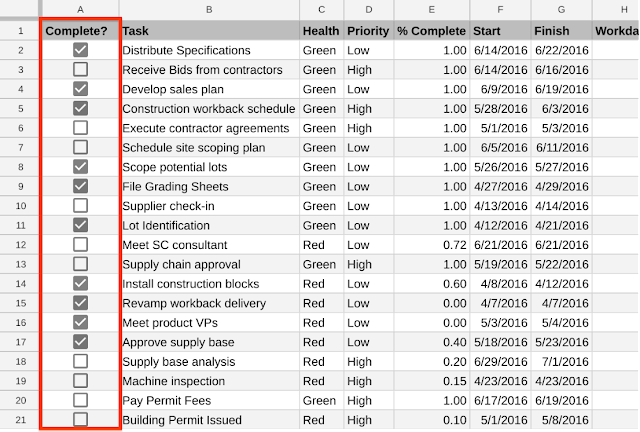 To help save your team time when completing repetitive tasks, you can record macros in Sheets. When you record a macro, it’s saved as an Apps Script that you can run in the cloud whenever you need to perform the task. You can also edit the script to change it, or import existing Apps Scripts as new macros. See the previous post for more details, or the Help Center for the specific how-tos. 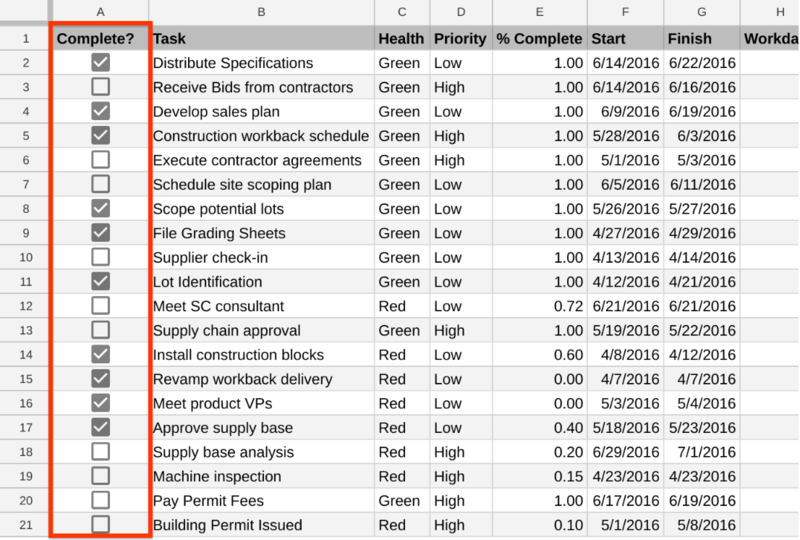 There’s a new option to group rows or columns in Sheets. This makes it easier to collapse or expand several rows and columns at once to customize your view. See the Help Center for more on how to manage rows, columns, and cells. You can turn a list of items into a checklist with the new checkbox feature. See the Help Center to learn how to add and use checkboxes. We’re making it easier to work with dates in pivot tables by adding an option to create groupings by time and date, including hour, day, month, quarter, year, and more. See the Help Center to learn how to add and use pivot tables. 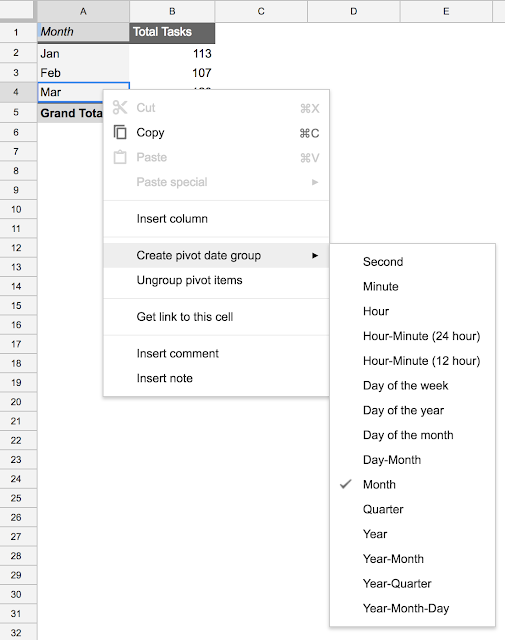 We’re adding new features to make it easier to print spreadsheets. Specifically, you can specify custom paper sizes and set custom page breaks. This makes it easier to get the right content from a spreadsheet on a printed page. See the Help Center for more about how to print from Google Sheets. Extended rollout (potentially longer than 15 days for feature visibility); rollout to Scheduled Release domains will only start after rollout to Rapid Release domains is complete. 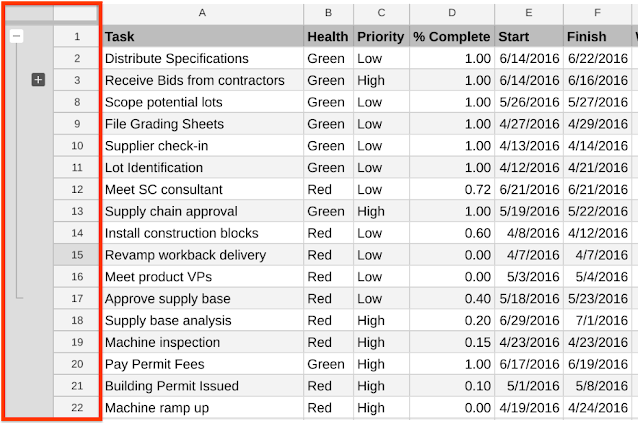 In our earlier post, we provided an overview of some of the ways we’re making Google Sheets better for business. This included several new feature announcements. This post will provide some more specific feature and rollout information that may be useful to G Suite admins.